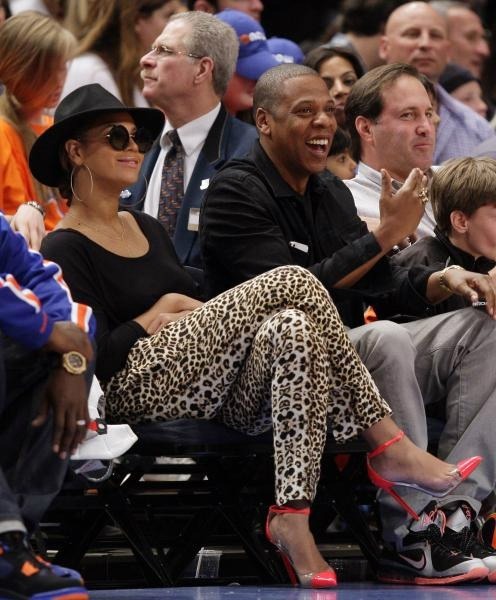 Power couple Jay-Z and Beyonce attended a game between the Miami Heat and New York Knicks at Madison Square Garden yesterday in New York City. 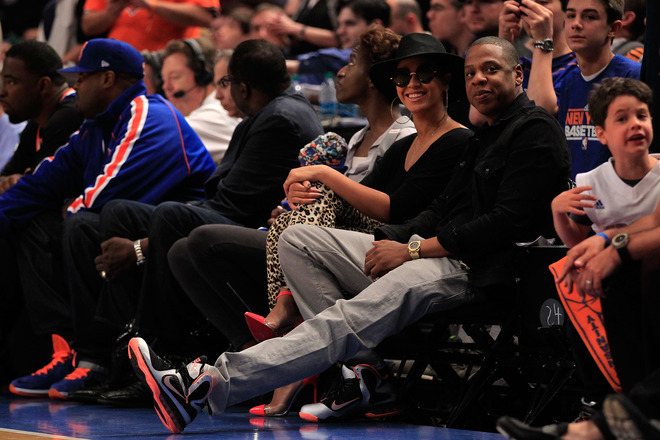 Jay rocked the Nike Lebron 9 “Mangos” and Bey rocked a pair of A.L.C. Elson Leopard Silk-Crepe Tapered Pants, pairing them with a black off-the-shoulder sweater, Linda Farrow x The Row oversized round sunglasses and Eugenia Kim Lauren Wide Brim Fedora in black. She put on a pair of Christian Louboutin Unbout Illusion pumps in orange to complete her look. I love how she likes to wear similar colors to compliment Jay Love them!!! Sooooo Bey rocking your shades while watching the game is the move now?..